Welcome back! I am excited to share the second part of my Holiday Home Tour with all of you. If you missed the first part of the tour, you can find it here. 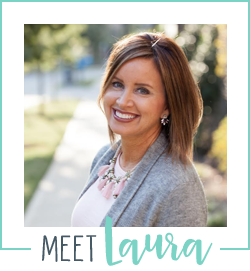 And if you are new to Smart Southern Style, you can find out more about me here and learn a little more about the blog here. On the first part of the tour, I shared my living room which includes my main Christmas tree, a smaller whimsical tree and some other decor. Today, I want to share my dining room and family room. 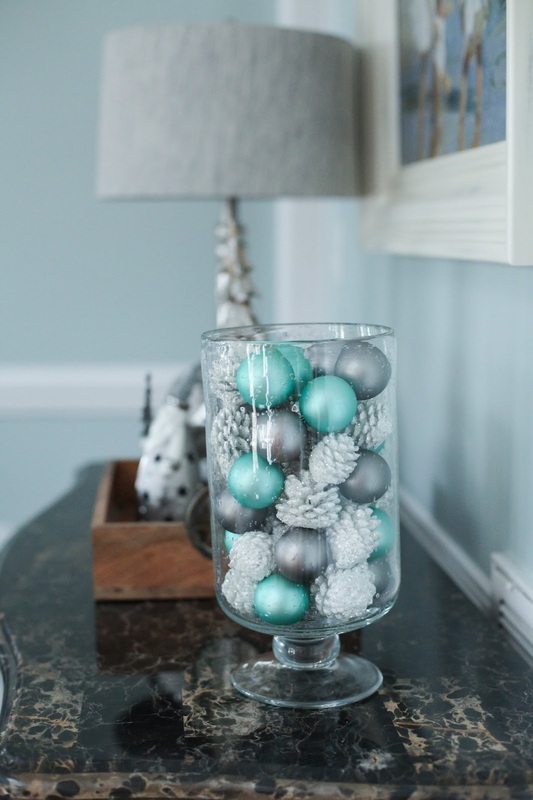 My dining room is painted light blue and has some silver accents, so I opted for Christmas decor in those same colors. I found these pretty pearlized trees in the same color as my wall paint which I added to my dining room table with some greenery. If you have any extra trimmings from the bottom of your tree, those are always great to add to a table for some extra dimension. 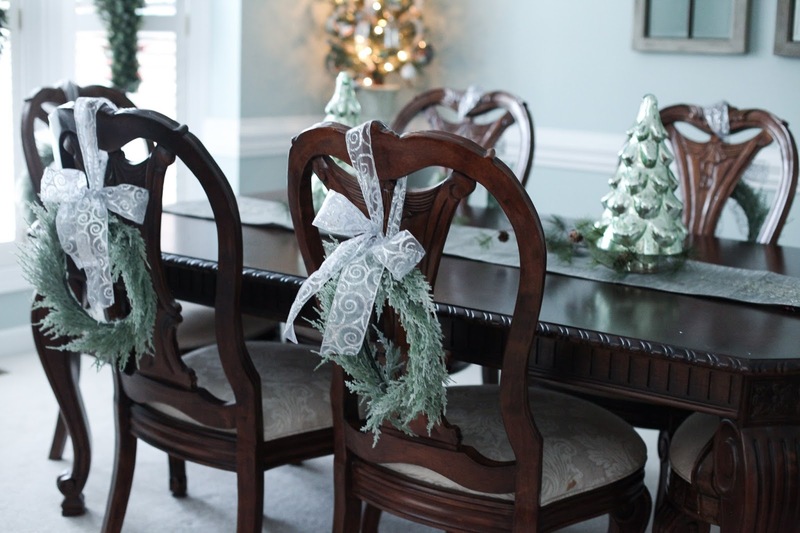 I also found these light green wreaths that I tied to each chair with a silver wired ribbon. You can find small wreaths like this at many home decor shops and buy the ribbon of your choice to use with them. I tied glass ornaments to my chandelier in the same colors. 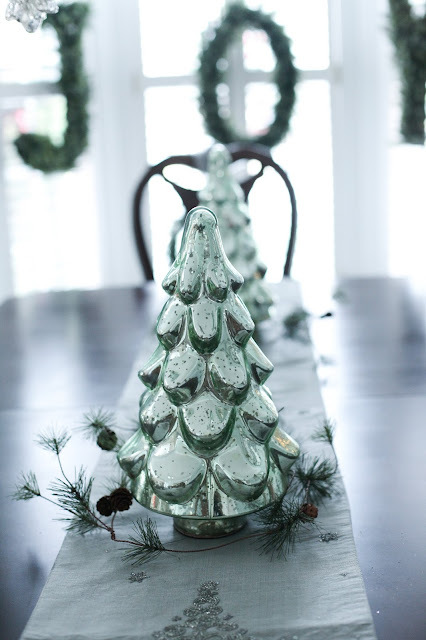 This is a really easy and affordable way to add some Christmas cheer to a dining room! 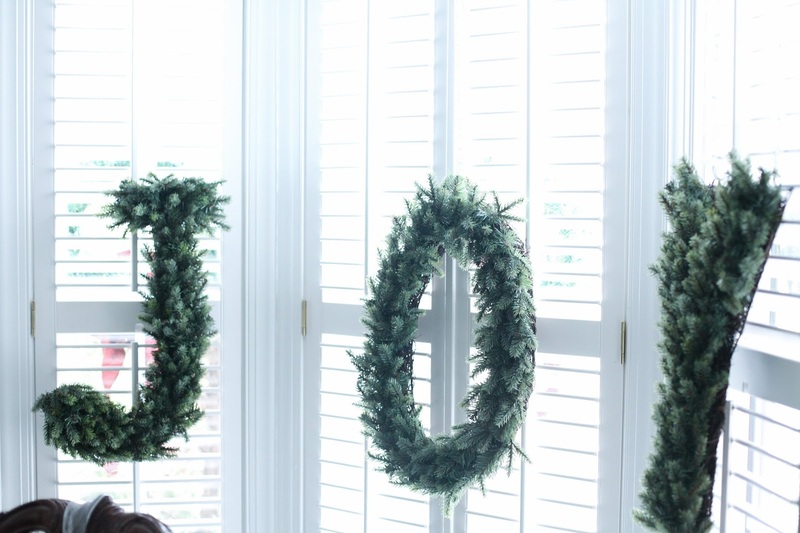 One of my favorite Christmas decor items in the dining room is my JOY wreath. It is a focal point in the room on the bay window, but would also look great on a wall or large mirror. 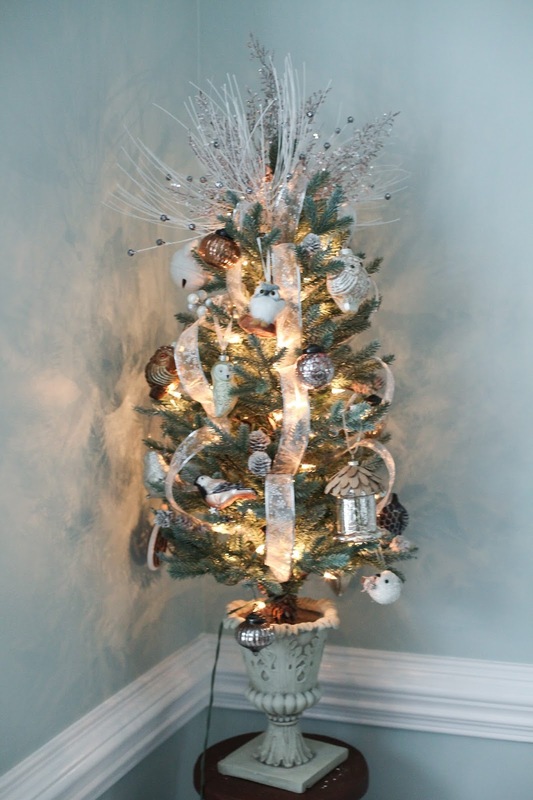 You could also use standard round wreaths for the same effect. I have a smaller light green tree in my dining room and looped some wired ribbon through it as I did my other trees. (See Part 1 of the Holiday Home Tour for more tree inspiration.) I opted for primarily metallic ornaments in a natural theme (birds, owls, etc...) and added some greenery sprigs as a tree topper. On my buffet, I used a tray I already had to display some smaller silver decorations, and filled a glass container with some Christmas ornaments. 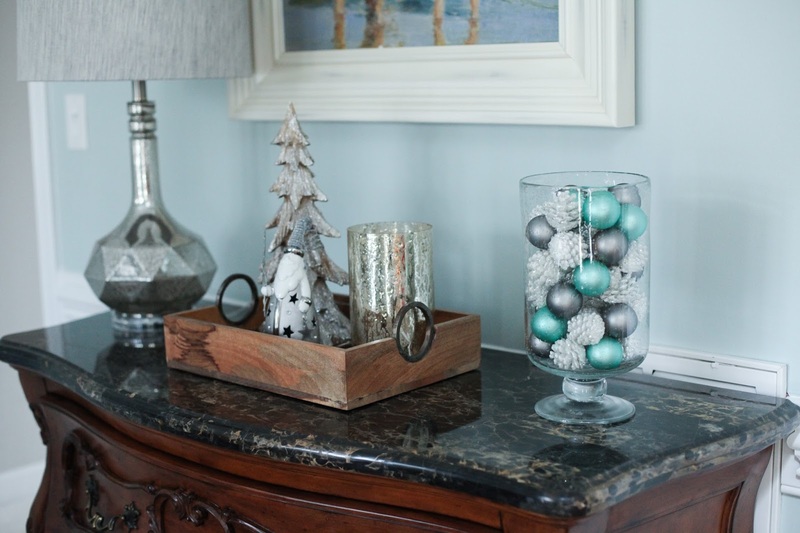 These are easy and affordable ways to add some Christmas decorations by utilizing existing items in the room. 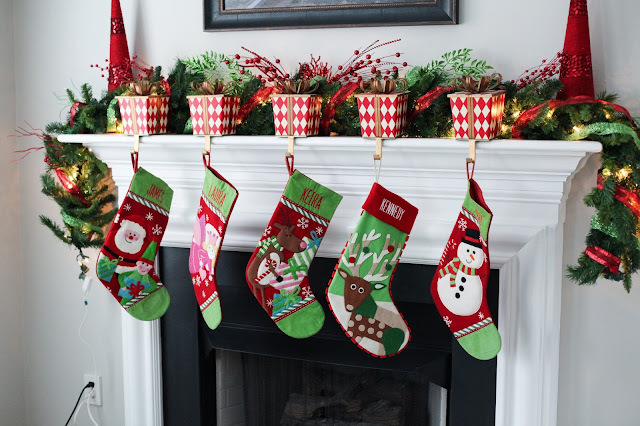 My family room is filled with all of our most personal Christmas decor, since that is the room we are in the most. On our mantle, I use a lighted garland and add some greenery sprigs throughout. I also included 2 red trees at each end for some height and the gift box stocking holders add some whimsy and color to the mantle. 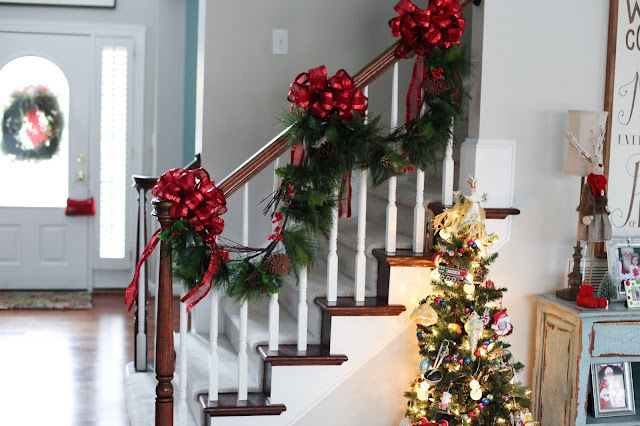 I also added garland to the stair rail with some large red bows I had made at a craft store. Ever since my girls were babies, we take them to see Santa every year. I put those photos in frames and display them throughout the house at Christmas. We all love seeing the photos each year and taking a trip down memory lane! My girls have a small tree in this room that they decorate. They use all of their favorite ornaments and enjoy having a tree that is all their own. I love wooden signs with Bible verses on them and have several throughout my home. At Christmas, I swap some of the signs out for Christmas themed signs. 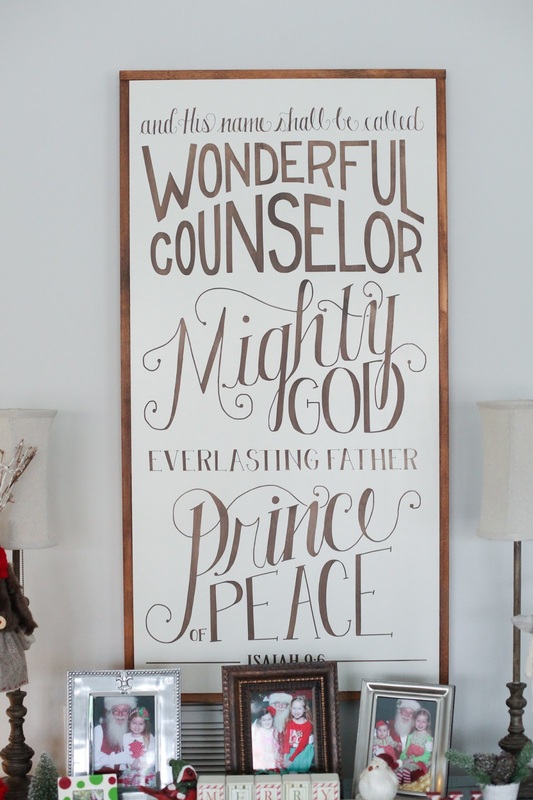 One of the focal points of the family room is this large wooden sign with Isaiah 9:6 painted on it. Celebrating the birth of Jesus is the true meaning of Christmas and this sign is a great reminder of the miracle of His birth. I also have a smaller sign with lyrics from "Go Tell It On The Mountain" in this room as well. You can find lots of great wooden signs on Etsy. I hope you enjoyed seeing a little more of our home at Christmas and hopefully got some ideas for your own home. Wishing you all the joy this season brings as we celebrate our Savior's birth! 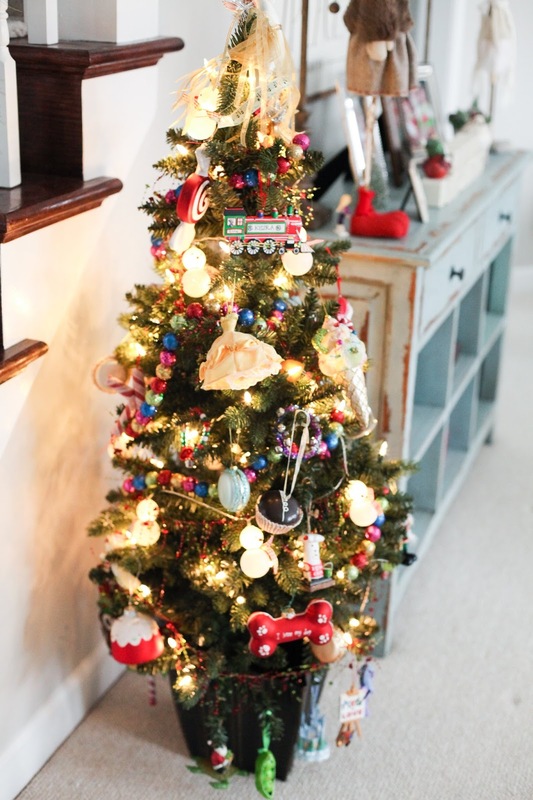 Your house and tree look amazing. OMG! That dog is like a little cotton ball. I love the fro! Thank you! What a nice compliment! And yes, our dog Rocky definitely looks like a fluffy cotton ball. He's a great dog! 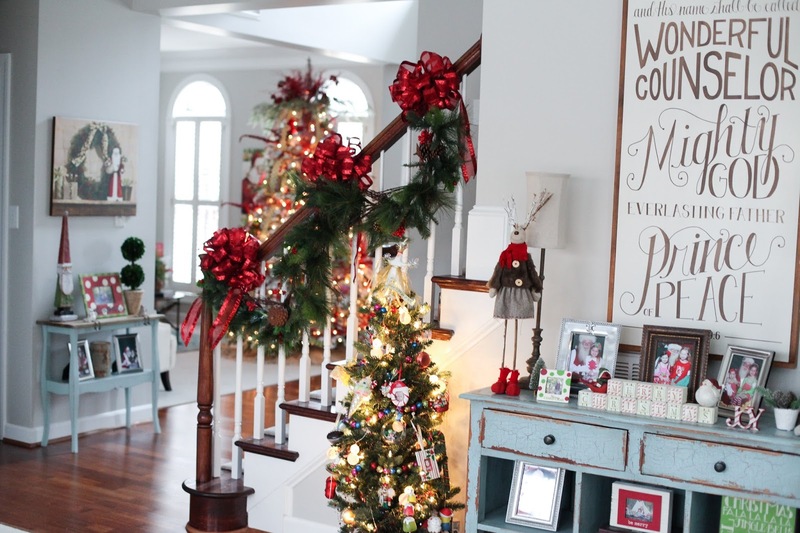 Love all your Christmas decor! I am going to use that idea of framing the Santa photos and displaying them at Christmas. Your home is beautiful! So nice of you to say - Thank you! 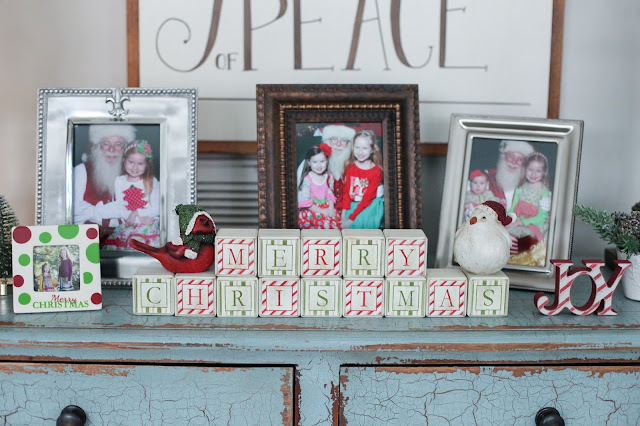 Yes, you should definitely frame the Santa photos. We love looking at them each year! Thank you for reading along!